For those who follows my BLOG, I'm sorry to keep you all waiting for my updates. I was busy and also down with fever last week. After my son was down with fever, it's me and then my youngest daughter. It's school holidays and all of us are sick...too bad ya!! “梅菜猪肉”- Pork Belly with Preserved Mustard Cabbage are one of my favourite dishes. I can finished one big bowl of rice with it. 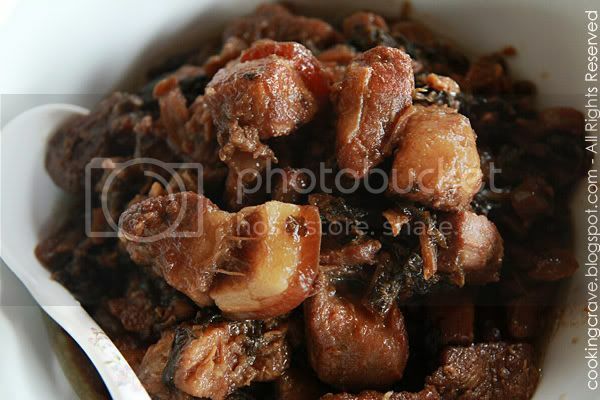 For pork lovers out there, try out this dish and I bet you'll love it straight away. It's great to go with rice or porridge. If u eat them with rice, don't forget the sambal belacan ~ slurppss! Wash and sliced the meat. 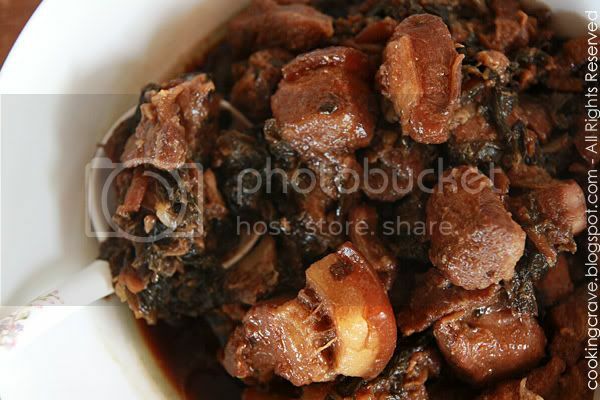 Drain the excessive water and marinate it with oyster sauce, cooking wine & dark soy sauce for at least 30 mins. Rinse to clean the preserved mustard cabbage from salt. Cut the preserved mustard cabbage finely and soak into clean water for 20-30 mins (this depend on the saltiness of the mustard) Remove, squeeze it's moisture and set a side. Stir-fry preserved mustard cabbage in hot wok without oil for approx. 5 mins until aromatic and dry. Heat oil in wok, fry the garlic till it's fragrant and golden brown. Add in just the meat (set aside the marinate meat sauce) and stir-fry briskly until it's aromatic. Stir in the preserved mustard cabbage and continue to stir-fry it till it's a bit dry and fragrant. Pour in the sauce from marinated meat, add sugar to taste and continue to stir-fry for 2-3 mins. Place the half cooked meat into a small pot. Add water, enough to cover 80%-90% of the meat (too much water will make it tasteless) Bring the meat to boil. Cover and simmer at low heat for 1 hour. Stir constantly to make sure all the meat are evenly cooked. welcome back. this dish look really yummy. 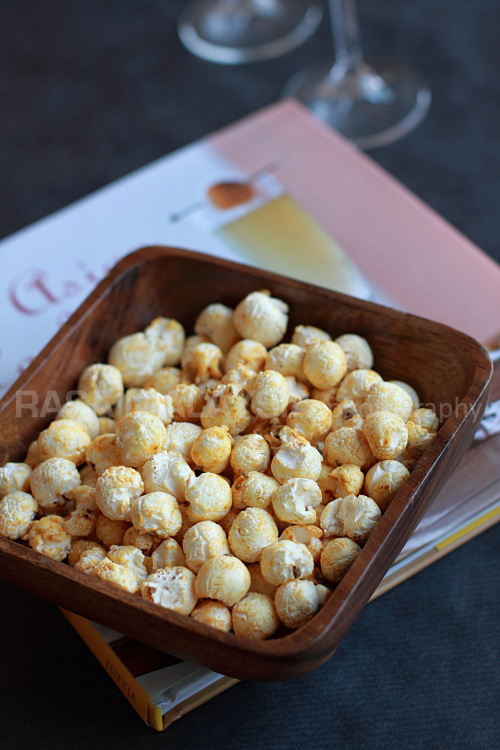 Usually, I like to eat this with a bowl of porridge. Thank you! Ya, this dish are great to be eat with porridge too but I would love to eat them with sambal and rice. It's yummy when we eat them with sambal belacan. This looks so yummy! Just my type of braised pork dish...plus I love mustard greens! :) Saving this recipe right now! Oh no, why must I visit food blogs in the middle of the night... make me hungry. Some more mention sambal belacan T___T. I love pork belly and this dish looks so delicious. 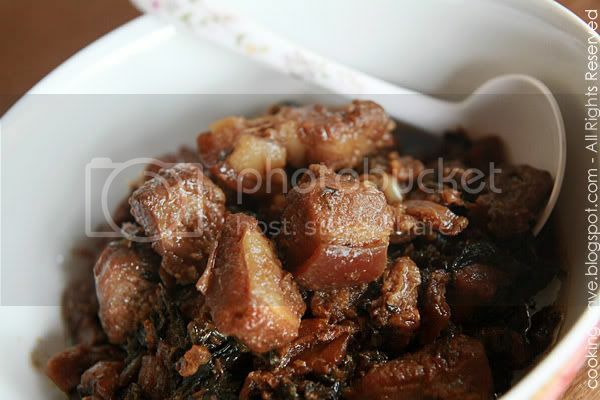 Wow...your pork belly make me " lau nua " this is one of my family's favourite and I cook it quite often. Come visit my blog if you're free ok !